~CHiCA Kosaka~: Today,The Weekend,Happy Birthday,Nere! Today,I went to school.Then I went home.Twas a boring day.Only a few more weeks until summer vacation. 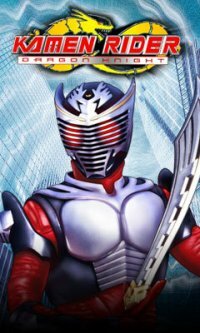 The weekend was quite nice.Had to do Mother's Day shopping on Saturday so I had to be an early bird.The worst part?I MISSED KAMEN RIDER DRAGON KNIGHT EPISODE 4!!! (Did I mention it was a re-run?Haha! )I went to the South Shore Mall and bought my ma and grandma Elizabeth Arden perfumes.When I got home,I took the bus to TAP and played a little bit of DDR with Nick.Very few AAs that night...I also play Metal Slug X on the Ultracade machine.There was over 200 credits in the machine!! !So I beat the game of course.First place,baby!Sunday,me and ma went to a different church for a special Mother's Day service.Met Grandma and some relatives there,too.After that,the church had steak and rice for us.I liked the rice but I didn't eat the steak.I rarely eat meat but that does not mean I'm a vegatarian.So we left,I was dropped off at TAP,and ma went home.I only stayed 3 hours because the place was completely dead.Only 3 games of DDR and a bit of Street Fighter II.Ma picked me up and we went home.Didn't sleep till 11 last night...I don't know why...Haha! Today was my sister Nereida's birthday!Happy 28th Birthday,Nere!We had an apple pie...and it was delicious! One more thing,sometimes I forget that I have a blog.This will take some time to get use to.